After a fitful night of cat napping, Ayla was feeling much better this morning so it was off to our beach shack as planned. With the baby panadol packed (just in case) we hit the road with our visiting friends in tow and arrived at the shack just before sunset. We didn’t have time to collect firewood so after dinner we sat around a citronella flare, and talked just like old times. Only tonight we had Baby Ayla in our midst and she always makes things better. 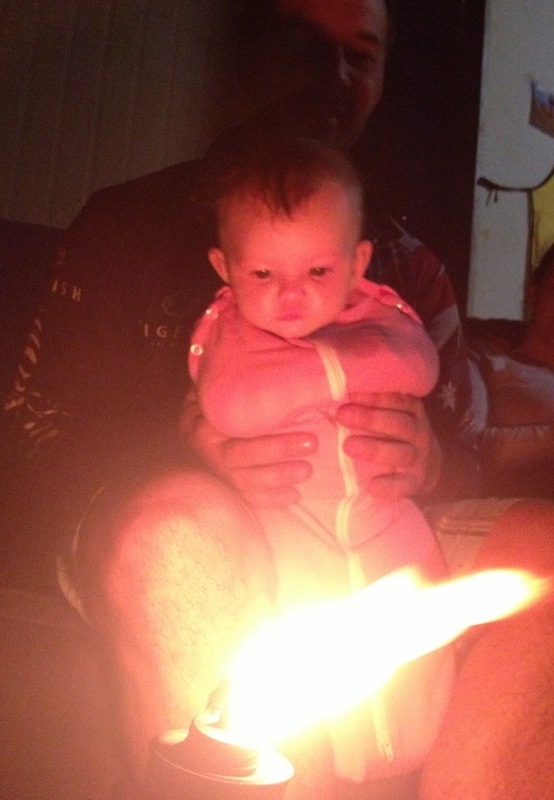 Ayla was mesmerised by the flame and she sat for ages on her Daddy’s knee watching it flicker and twist until she finally fell asleep.